Thirty-two-year-oldJulia Immonen and four other women take on a challenge completed by fewerpeople than have climbed Mount Everest or gone into space: row three thousandmiles, unaided, from the Canary Islands to Barbados. 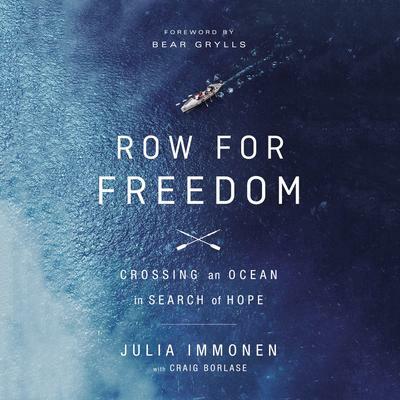 Row for Freedom chroniclesthat dramatic journey, detailing the grueling, peril-filled crossing,which broke two world records, as it weaves together Julia’s search for hopeand purpose against a background of relationships scarred by violence. As Julia’s physical andemotional treks unfold, you also learn about the plight of the thirty millionvictims of the modern-day slave trade that serves as the motivation for herrow. Be inspired by Julia’s self-discovery and her team’s triumph in one of themost formidable physical quests ever undertaken.